Influencing buyers at the point of sale is always a key objective for every brand team. This is especially true of brands that are new to the market. 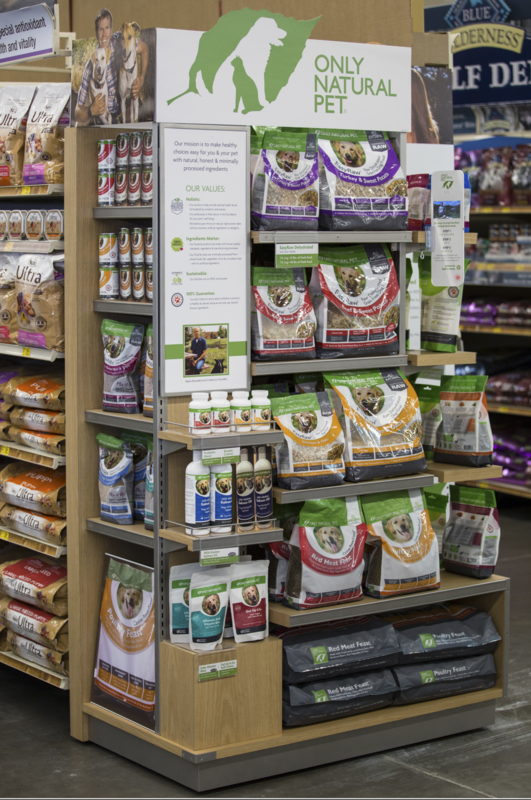 When newcomer Only Natural Pet was ready to launch its new line of Paleo-Inspired pet food in Petsmart stores, it knew it needed an informative point of sale piece to educate consumers on the advantages of this new product. 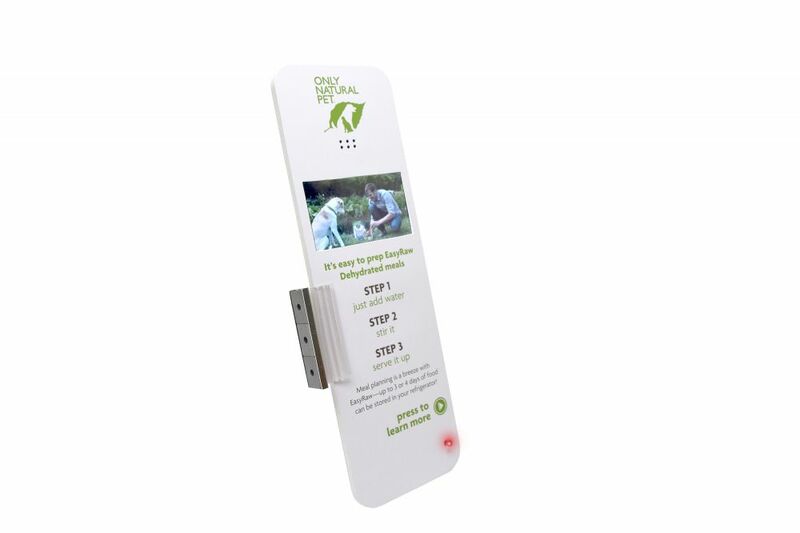 With an end cap display already in the works, the Only Natural Pet team decided to employ Americhip’s Video Blade as an added digital channel to communicate key product information. The Video Blade was positioned on each end cap to provide great stopping power. 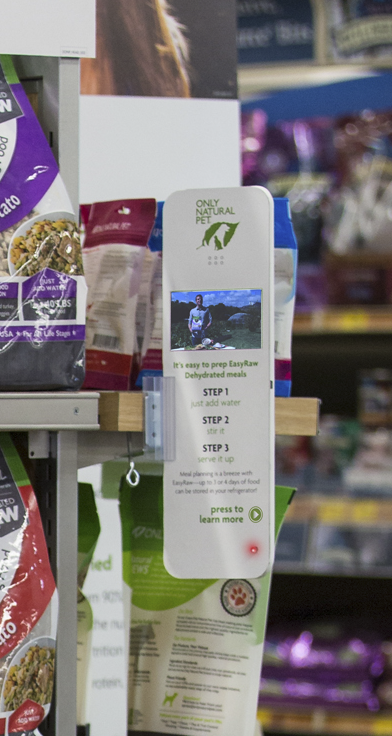 The 15” Blade with flashing LED captured the attention of customers as they walked the store aisles. 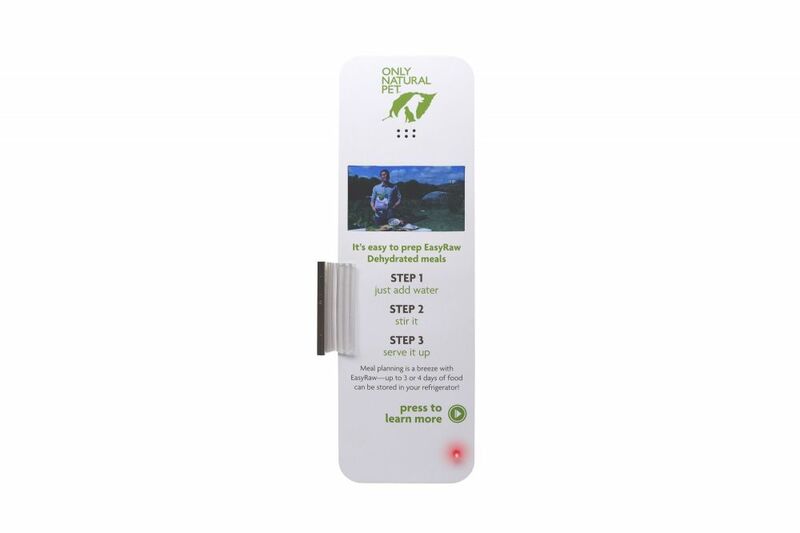 At the push of a button, customers were able to view video content detailing the easy 3-step process for prepping meals. The slim and sleek Video Blade included a 4.3” LCD screen and lithium-ion batteries which allowed for thousands of playbacks.